The Ministry of Education of the Russian Federation attempts to fight extremism with “song and dance” and cultural exchange. A source at Russia’s Ministry of Education and Science has revealed plans within the agency to create international student governance bodies at universities. This action comes as part of the Ministry’s State Nationalities Policy initiative. Such bodies will include international friendship clubs, community councils, boards of nationalities, and other similar organizations. The Ministry has also proposed developing general terms and conditions for the coordination of the activities of these clubs and councils. The Ministry of Regional Development has already received the proposal. The source at the agency added that the initiative is one response to the alienation of the youth from the life of the country and their isolation within ethnic communities. “For this reason, young people who are susceptible to radical behavior and views may fall victim to religious and nationalistic extremists that try to incite bad attitudes toward representatives of other ethnicities,” the source said. 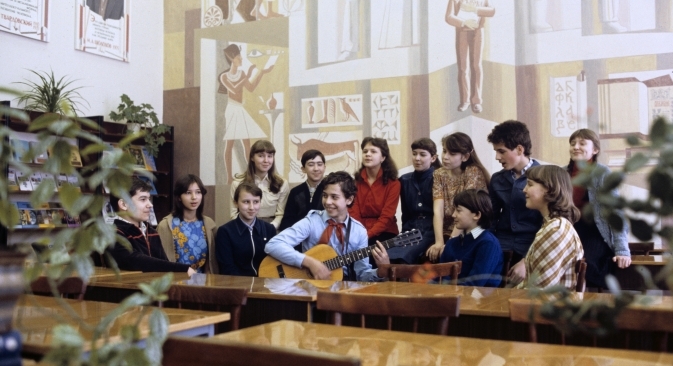 The idea of “international friendship clubs” (known as KID or “interclubs” in Russia) dates back to the Soviet era. Every school and Young Pioneer Palace had one, and their goal was to promote international and interethnic ties among the youth. The initiative died down after the collapse of the Soviet Union, only to undergo a slow resurrection in the late 1990s. Now they exist in the form of independent student clubs, designed to foster interethnic relations, organize various events and participate in the country’s social and political life. Izvestia talked to representatives of universities that have hosted such clubs and groups for years. The Moscow State Institute of International Relations (MGIMO) “council of communities,” for example, is made up of representatives from more than 33 countries and has been active since 2008. Tamara Salnikova, deputy dean for international students, welcomes the proliferation of such councils in higher education institutions across the country. “I believe such councils are an absolute must. They are engaged in a variety of activities and bring together people of different ethnic backgrounds, holding events and contests not only for their colleges but also for themselves,” she said. The People’s Friendship University of Russia (RUDN) – arguably Russia’s most ethnically diverse higher education institution – is also implementing such programs. The campus houses the International Cultural Center, which arranges cultural events ranging from song and dance parties to the “What? Where? When?” quiz show. RUDN is also home to students from 146 countries. RUDN’s vice chancellor for international affairs, Gulnara Krasnova, agrees with her colleague at MGIMO. Krasnova believes that the initiative will help break down the boundaries between students of different ethnicities and allow them to learn more about other cultures. “It will help fight racism and nationalism, without a doubt," Krasnova said. "We have more than 200 international interest groups, and their members do everything together. Everybody remembers our international KVN stand-up comedy team, for example. We host special, week-long celebrations of different countries and “ambassador visits,” where our students present their countries to the world." "In order to understand a country, you need to have some sort of emotional connection with that country, such as an interest in studying the language. This is a contributing factor to the establishment of new contacts and perceptions,” Krasnova added. The Higher School of Economics State Science and Research Institute, which hosts an international club called “The Chamber of Nationalities,” is another example of this community-driven approach. The institute’s chancellor, Yaroslav Kuzminov, thinks the idea is worthwhile. “Our students have set this forum up themselves," he said. "Students who came to our university from other cities first started getting together on the basis of their common culture, then decided to invite others to join their celebrations, discussions, etc. This is certainly useful, and I believe this system will help combat ethnic divisions." Kuzminov added, however, that such associations should be set up by the students, rather than being organized in response to orders from above. First published in Russian in the Izvestia newspaper.